The 2018 season is over and we start to think about the next one. 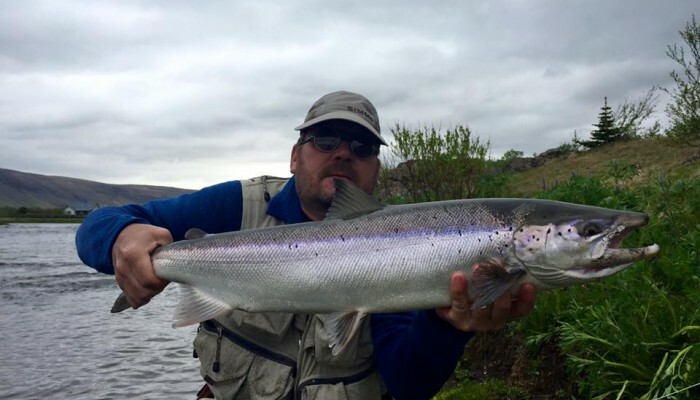 Kjos anglers experienced fantastic fishing the last week, with about 100 salmon caught. We have not seen figures like that since July, but high water and good condition made the last days memorable. Some big sea trout were caught as well, fish between 80-85 cm. Final 2018 numbers from Kjos will be over 1.050 salmon for the short season, fished by 4-8 rods. We would like to thank all of our guests this year, and just a quick reminder that we have started to book days for the 2019 season.